CCTV (Closed Circuit System) is a TV system that comes with signals that are reviewed, usually for security and surveillance systems. Its signals are not distributed public. These cameras work effectively when placed in the right areas. As the cameras work in coordination with monitors and video recorders through wireless communication channels, they are popularly known as closed-circuit to refer to their access only to a selected few who want to see it. Why You Need CCTV Cameras? CCTV cameras play a major role in maintaining the security of offices, retail outlets and homes. As issues related to organized crime and burglaries are on the rise, it is a must to boost the security of one’s property. CCTV cameras are one of the most affordable Security Equipment that you can use to keep your property safe from trespassers. These cameras come with an ultramodern technology which enables users to have a clear footage of everything that is happening within and around their home and office. These cameras can also help you to ensure that your employees do not get involved in any type of wrongdoing. The best place to use them is the area where cash exchange takes place. Cameras that are installed close to cash registers or near the work stations of employees. This can ensure that an employee is caught while stealing and brought to book. In case someone commits crime within the office premises and the live footage is captured on camera, then you can use this as a proof in legal enquiries. It can be used by the jury to watch footage from your security cameras and ascertain that the person has committed a crime. CCTV cameras utilize one or multiple video cameras for video transmission. Occasionally, they also make use of video and audio images to a monitor, number of monitors or a video recorder. What makes a CCTV camera different from a normal TV is that a normal TV broadcasts its signals to people openly. CCTV cameras on the other hand do not offer open transmission to public. They make use of wireless or wired transmission for sending broadcast from video cameras to the monitors or recording device. Apart from surveillance, CCTV cameras can also be used for monitoring safety & security and spying. Adjustability: Fixed cameras can focus on a particular spot, which makes them suitable for use in retail outlets. But, if you want coverage over a larger area, then you will need to opt for a camera which you can pan, tilt and zoom according to your needs. Camera Style: Would you want your camera to be visible or invisible? Security experts are of the view that cameras that can be seen easily can sometimes prove to be detrimental. To have a better quality of surveillance within your property, you will need to opt for cameras that are not visible to the naked eye. Image Quality: IP cameras that are widely used these days can provide you with access from any place. However, one major issue with these cameras is that they chop the images unlike analog cameras. If image quality is one major area of your concern, then you should opt for an analog camera. All that you need for this purpose is extra equipment. Type of Wiring: Routing the cables to the desired location of a CCTV camera can often pose to be a challenge. Wireless models are power dependent as well. Opt for a camera that needs a minimal amount of wiring. Some leading brands in the market offer models which offer power and video images through a single Ethernet wire. Quality of Recording: Thugs, miscreants and mischievous teenagers are most likely to be up to some mischief when you are not around. Therefore, you need to be go for a camera that can record captured images on a digital video recorder. Rain Resistance Capacity: There are a number of cameras that can handle rain more effectively as compared to others. If your IP camera is exposed to weather elements like rain and snow, then opt for the one which comes with a waterproof rating of 65. Access to the Web (IP cameras): For checking footage of people entering into your property in your absence, opt for a camera which you can access through the web. You will have a clear view of the porch and front door from your laptop or mobile screen. 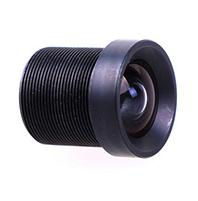 C-mount CCTV cameras come with detachable lenses that can fit into a wide range of applications. Normal lenses of this camera covers a distance between 35-40 ft. So, you can use special lenses with CCTV cameras to cover distances that are more than 40ft. Night vision CCTV cameras can view images in completely dark conditions with the help of Infrared LEDs. They are best suited for use in poor lighting conditions. For Retail Outlets: Dome cameras are placed on dome shaped housings. An interesting thing to note about these housing is that they enable the cameras to become unobtrusive but visible. These types of cameras are widely used in retail outlets. Dome cameras are best suited for covering a large area. As people cannot look inside dome that houses the camera, it is tough for them to have a clear idea of the direction in which the camera is pointing and filming. So, they can help retail outlet owners to check crimes without having to invest in too many cameras to record everything that is happening within their premises. Ultra-high definition cameras are normally used in banks and casinos. They enable operators with the ability to zoom with complete clarity. For Offices: Day/night cameras make up for changing light conditions, thereby enabling the camera to capture images. They are best suited for use outdoors such as the parking lot. These cameras come with numerous functions which make them suitable for functioning in glare, direct sunlight and reflections at any time of the day. IP CCTV Cameras, wireless as well as hardwired can transmit images through the internet. They can also compress the bandwidth without affecting the web. They can be installed easily as compared to analog cameras as they don’t need a different cable run or power boost for sending images over a greater distance. For Factories: The presence of DVR (Digital Video Recorder) or NVR (Network Video Recorder) within factory security systems can help users transmit their surveillance footage over the web. As a result, the management can easily check the activities of workers through their video cameras at any time. These type of CCTV cameras also enable the security staff to perform guard duties effectively instead of checking the video monitor throughout the day. The focal length of a lens is the decides how far a CCTV camera can view, and may be either fixed or variable. The focal length cannot be changed. Therefore, you will need to position the camera at a proper distance from the area you are targeting. 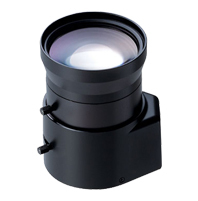 Compared to vari-focal lenses, these lenses are less expensive and can be adjusted manually. You will be able to adjust the zoom lenses electronically. According to security experts, adjustable focal lengths are considered suitable provided you have a moving target, or you require to view details of different parts of a scene. The field of view is a major factor which decides the area that you will be able to view. The greater the focal length, the narrower will be your field of you. As a result, you will see a less area, no matter how much you zoom. Identifying the details is a major challenge with a wide field of view. A 3-4 mm focal length, for example will provide you with a wide field of view-around 80 to 180 degrees, but results are often deformed. 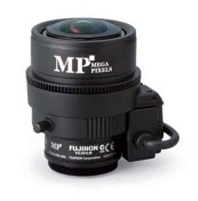 This type of lens is most suitable if you would like to have a broad view of an area. On the other hand, if you would like to check particular details within a distance, then 8 or 12 mm focal length would be most suitable. The lens iris decides the amount of light that will go through the camera. In areas with good lighting conditions, a fixed iris lens is considered most suitable for use. In case the lighting is too dull or bright or changes at times, a manual iris lens is considered a suitable option. An automatic iris lens is more suitable for use in outdoor areas. How to Install CCTV Cameras? CCTV camera installation has become easier over the years. With the introduction of digital versions in the market, it is not always essential to acquire the assistance of technical experts for setup. First and foremost, plan the area where you would monitor the system through the internet. If you do, then you will need to ask your internet provider to provide you with a IP address. You can make use of your DVR for recording if it is necessary. Check the area and select the locations where you intend to install cameras. You can opt anything between 1 to 4 security cameras according to your needs. A number of single or two camera systems can be expanded to accept greater number of cameras. If you opt for wireless cameras, then you will need an electric outlet for work. To ensure that the camera is not visible to people, you can allow someone you trust to unplug the camera. But this can be done only if the outlet can be accessed easily. Then, install the camera on PC and let it boot. At the next step, click on the setup menu and follow the installation procedure for the specific software. To ensure security, you will need your static IP address, password and user name. Fix the first camera to a stable surface before plugging it within an extension cord or wall socket. Ensure that it is positioned towards the direction of coverage. You will need a help to stand close to the video display to adjust the camera and ensure that it covers as much area as possible. Label the camera in the software with a name you can easily remember. Regular inspection of all major components is vital for the maintenance of CCTV cameras. Also make it a point to verify the wiring and controls for any signs of damage. You can take the help of a professional technician for maintaining your recorders, monitors and camera. On your part, you can clean the lenses, housings and camera if it is necessary. For proper monitoring view, check and adjust the camera lenses. You can also test the signals of the remote equipment. Also find out whether the recording and playback quality of the camera’s footage. Write down the test results. In case it is possible, verify the transmission of the images to the center of the remote. Adjust the time, date and memory settings as and when required. CCTV accessories are of different types. Brackets are commonly used for holding a camera system in place either in the wall or on edgeways. You will need to ensure that you install the appropriate bracket so that the camera stays at the place where it is put up. Housings are metal or plastic casings that are used for holding the camera. Surge protectors are widely used to protect electronic equipment during power surges. As a result, it ensures that electronics are not damaged. The use of Power Over Ethernet(PoE) ensures passing of data and electric power by using an Ethernet cable. This accessory is ideal for use in situations where due to their location of a 6 cannot reach an electric outlet.